Highly visible industrial zoned lot in the Trico Industrial Park which is located at the intersection of New U.S. Route 50 and Crackerneck Rd. Trico Industrial Park is the only industrial zoned property located along U.S. New Route 50. Past traffic counts have been 8,000+ per day. This property is located in the Clinton County Enterprise Zone which offers great tax benefits. With the high visibility, this property is also a great location for a commercial business, fast food, gas station, restaurant...you name it! 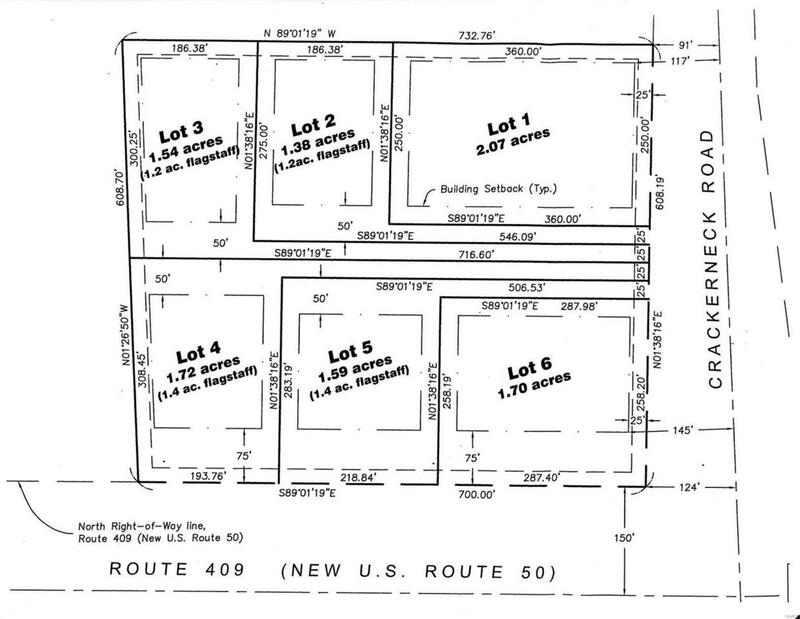 Parcel #05-05-16-400-015 is included in this total acreage. Listing provided courtesy of Trico Development & Realty. Listing information © 2019 Mid America Regional Information Systems, Inc.